The building with the massive portal that reminds us of the German Baroque style was built in 1642 and that time was the largest armory in the world. Both the building and its content was preserved untouched. The four floors contain over 32. 000 exhibits including halberds and firearms: pistols and muskets, armors and breastplates used in battle or tournaments. The armors for horses, the full set of armor for parade crafted at Innsburck in the sixteenth century, the richly ornamented joust costumes from the workshops of Nuremberg and inlaid pistols or hunting rifles dating from the fifteenth century and the seventeenth century are very interesting. The Armory in Graz was built between 1642-1645 as a weapons depot that were to be handed to the population to fight against the Turks. Graz was in the forefront of fighting for the defense of the province of Styria, Carinthia and Carniola, and this has given great importance to the armory. It seems that the Armory of Graz is currently the best preserved armory in the world. The Wonderful Renaissance facade of the Armory Museum in Graz was designed by the Italian Antonio Solari. On the first floor are exposed heavy weapons, guns and flintlock rifles. On the second floor you can see revolvers and armor used by infantry and cavalry. 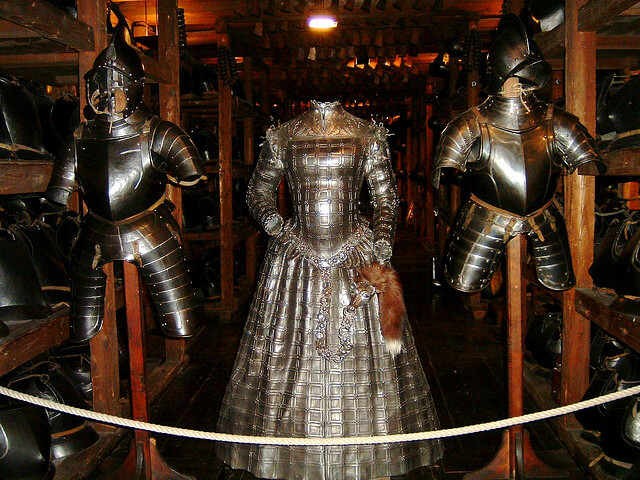 The third floor shows noble armors used in the tournaments. On the fourth floor are exposed white weapons and musical instruments used by the military orchestras. 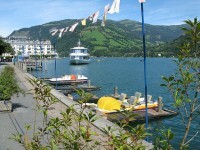 The wardrobe, the toilets and the souvenir shop are located on the ground floor. From the upper floor of the Armory in Graz you can see the Landhaus courtyard and, over the rooftops of the houses, the Schlossberg Hill and the Clock Tower. The Statue of Minerva is located in a niche to the right of the entrance of the Armory of Graz and it is the work of Giovanni Mamola. 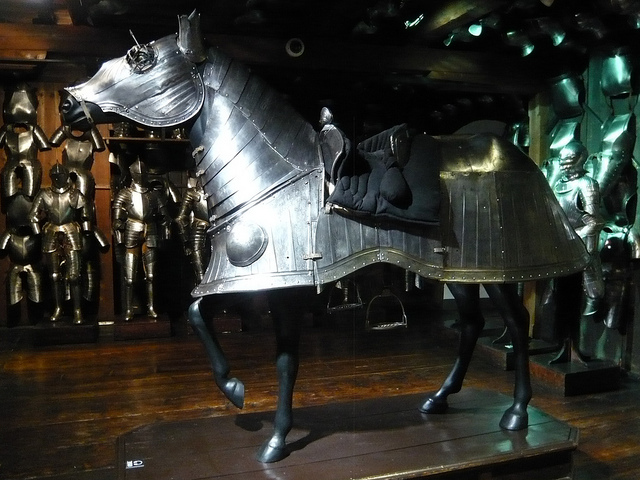 The horse armor is dating from 1505. Among the exhibits on the first floor you can see artillery guns and old naval cannons. The muskets of the seventeenth century were widely used in Europe. Most of the helmets from the sixteenth century, which decorate the ceiling of the third floor, were made ​​in the workshops of Nuremberg and Augsburg. 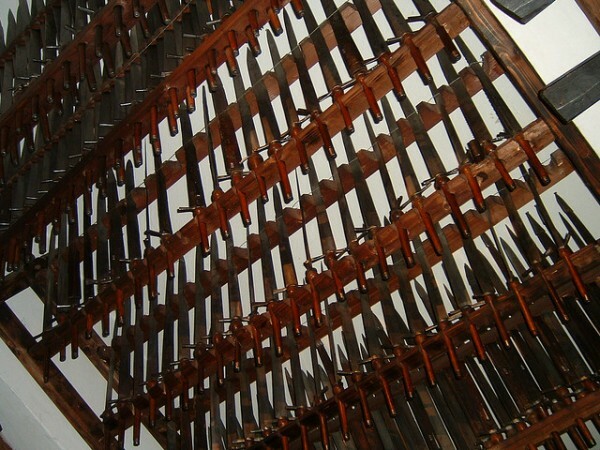 The Hungarian swords from the XVI century is the pride of the collection of weapons from the fourth floor. A hussar armor from the sixteenth century was crafted in a workshop in Nuremberg, it probably belonged to a high officer of hussars. 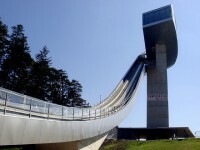 The Armory Museum in Graz is opened from April to October between 9:00 and 17:00.